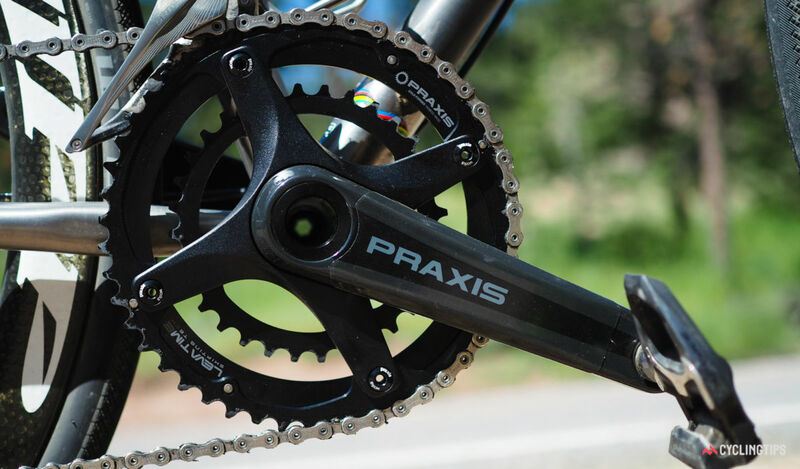 Earlier forged aluminum cranksets like the Zayante and Girder have demonstrated that Praxis could hold its own in the midrange arena, and in fact, Specialized already includes a lot of the company’s alloy offerings as original equipment across much of its range. 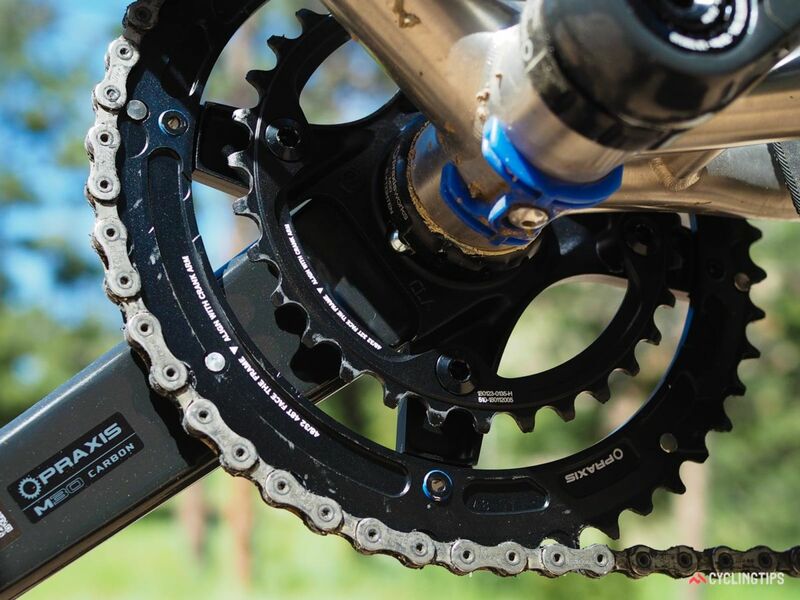 But the new Zayante Carbon takes Praxis further into the high-performance realm, following on the heels of the Lyft composite mountain bike crank that the company launched last year. Praxis builds the Zayante Carbon using an increasingly familiar format, with molded carbon fiber arms that are joined in the center with a 30mm-diameter forged-and-machined aluminum spindle. That layout generally produces better overall stiffness than 24mm-diameter crank spindles, while still being compatible with virtually every bottom bracket shell on the market thanks to a wide array of available cups. Currently, the only fitment not supported is Trek’s BB90 system. Weight is very competitive at 635g for the arms and 52/36T — less than 10g heavier than the equivalent Shimano Dura-Ace R9100 crankset — but the retail pricing is a comparative bargain at just US$325 / AU$475 / £300. Bottom bracket pricing varies with fitment, but for reference, a set of Praxis M30 BSA cups goes for a relatively modest US$45 / AU$73 / £35. Shift performance is also very good, particularly under load, although I still wouldn’t say it’s quite up to the same level as a complete Shimano or Campagnolo setup. It’s also important to note that, true to Praxis’s word, it’s best to use a Shimano, Campagnolo, or KMC chain if possible, as a stock SRAM chain tends to run a little clumsily. The chainrings have been faring quite well since I started testing five months ago, too, no doubt helped by the fact that Praxis forges its outer chainrings for improved durability (inner ones are still CNC-machined). Bearing durability has been harder to gauge given the dry Colorado climate, but while online reviews have generally been pretty favorable, the fact that Praxis only covers the Enduro 6805 bearing cartridges with non-contact aluminum shields makes me question how well they’d hold up under persistently wet conditions. The generous layer of marine grease applied at the factory in between the cartridges and outer shields should help in that respect, but proper rubber contact seals would still be better.